For Peugeot the return to the Dakar Rally was a "come and win" - and although the French brand has developed a new car for the Dakar 2018, it will be the last start at the biggest Marathonrally. Peugeot’s "dream team" – which claimed nine out of a possible 10 stage victories last year – remains unchanged for 2018: Stéphane Peterhansel / Jean-Paul Cottret (Yellow car), Carlos Sainz / Lucas Cruz (blue), Sébastien Loeb / Daniel Elena (white) and Cyril Despres / David Castera (red). This quartet can claim 19 Dakar victories between them (including bikes and cars), while Peugeot Sport has 6 wins from seven participations (1987 to 1990; 2015 to 2017). 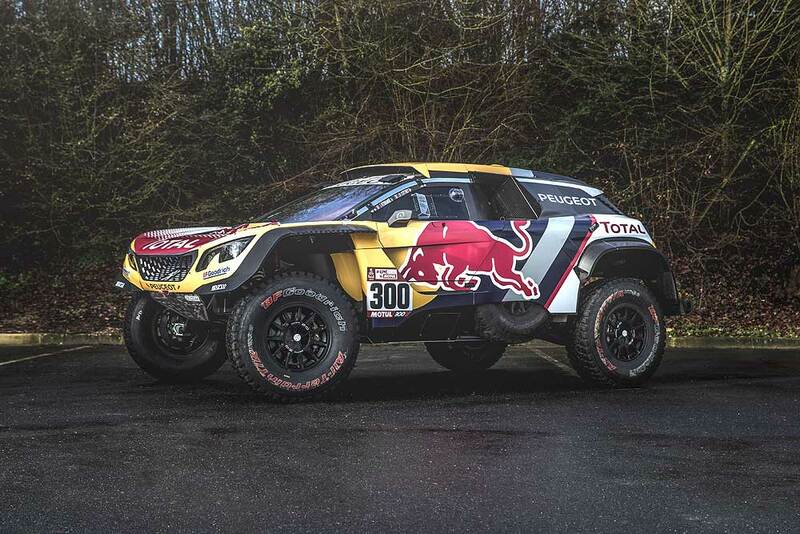 The 2018 technical regulations include several adjustments that do not favour two-wheel drive cars, with four-wheel drive cars benefitting from a minimum weight that is reduced by up to 100 kilograms and suspension travel that is increased by 30 millimeters, while the Peugeot 3008DKR Maxi carries an extra 70 kilograms of ballast. "Considering our victories over the past two years, including a one-two-three in 2017, our only objective can be to win this year’s Dakar as well," said Bruno Famin, Peugeot Sport Director. "The 2018 event looks set to be a thrilling but very long competition, which will be full of challenges. The route is longer than last year and much more difficult, with some long days in the desert from the very start – at the end of which there could already be some big gaps opening up." "The 1000-kilometer marathon stage will also form a significant chunk of the action, and Argentina will be no easier too. Bearing in mind our rivals, who have also been working hard, and a major adjustment to the regulations, there’s no doubt that it’s going to be an extremely complicated event. Aiming for victory in this context is already a big objective. But as well as the capabilities of the Peugeot 3008DKR Maxi, our strength compared to our rivals is having four crews all capable of winning." 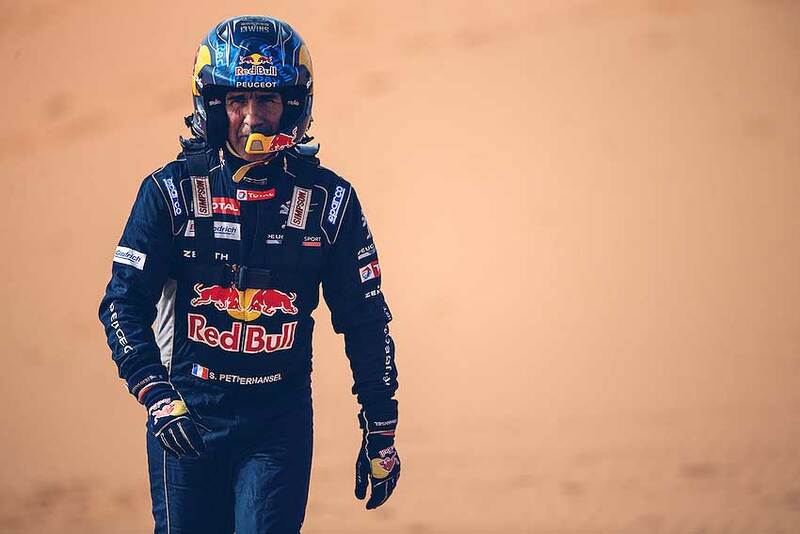 For the former nine-time WRC Champion Sébastien Loeb it will be a special Dakar: The Frenchman is the only driver in the team, who never won the Dakar Rally. "For me, it’s a little bit of a case of now or never if I want to win the Dakar. It’s my last opportunity to do it really. Last year, we saw that we had the capability of winning it," he said. "We know that we can do it and I’m heading to South America with my sights set on victory, that’s for sure. But there are all sorts of things that come into play on the Dakar. It’s very long and you can quickly lose everything with just a small mistake, especially now that the sand dunes form such a big part of the route again. That’s positive for the sport, as it’s what people imagine that rally raids are all about. On the other hand, it’s also the type of terrain where I don’t have a great deal of experience. So, the route isn’t one that works to my advantage. As for the car, it’s more stable, easier to drive, and with better suspension. It gives us more confidence and allows us to push a bit harder." 13-times Dakar winner Stéphane Peterhansel remembers Africa, talking about the 2018 route. "With plenty of desert, dunes, and perhaps a few surprises on the long sections, the route gives a nod to the Dakar’s African origins," the Frenchman said. "Everything seems very open, and it might not even be the quickest driver who wins." 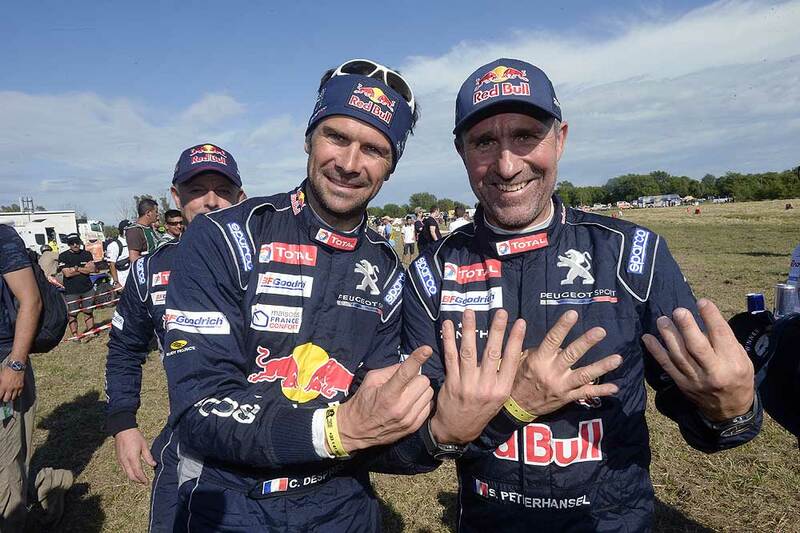 "At the start of this project, I made it my goal to reacquaint Peugeot with success on the Dakar. That objective has been reached, and for my part I feel a little less pressure than previous years, but of course I still really want to win this last Dakar with Peugeot! The car is even more competitive than last year. It’s wider and easier to control through corners, and it should enable us to perform even better in the dunes. We’re all happy with this latest evolution, which we’ve already driven for more than 5000 kilometers in testing: The equivalent stage length of an entire Dakar." Spaniard Carlos Sainz is also motivated: "I prepared in the usual way by intensifying my physical training programme before the start. It’s our last Dakar with Peugeot and I’m aiming for it to be a successful one. I think this one has the most kilometers in the dunes of all Dakar Rallies in South America. Navigation will be tricky, with lots of off-piste. And starting with so many desert stages straight away is also going to make it a very interesting Dakar." French former bike-winner Cyril Despres is concentrating on the terrain and the difficulty of each leg. "The first stages, in Peru, will take place in the sand. We’re not used to spending so much time in the dunes, but I’m quite calm about it as our car works well when it comes to negotiating them," he said. "It will be very hot at the beginning and then very quick, with narrower mountain stages at high altitude. And then there will be the stages like Belén and Fiambala, which you always go into with a slight edge of fear… There’s altitude, shifting sands, and waypoints that are never easy to find, which make navigation very complicated. This year’s Dakar will be a really complex mix!"